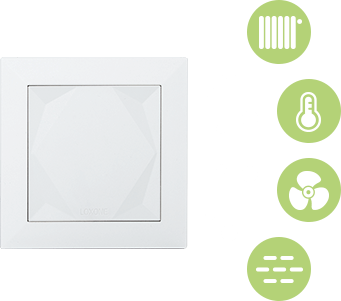 With the Loxone Touch, you can control any room with just one, compact control element. It's the switch of the new generation! With our Loxone Touch, you can enjoy simplified control throughout your Smart Home. 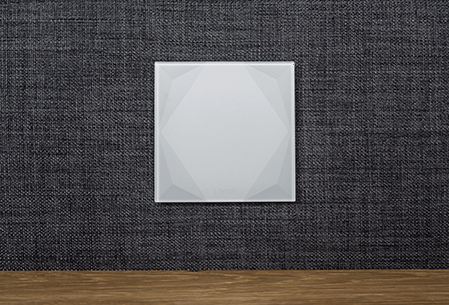 The capacitive surface of the Touch is quick to respond, and with just a tap on one of the five touch zones, you can control your lighting, blinds, music and more. 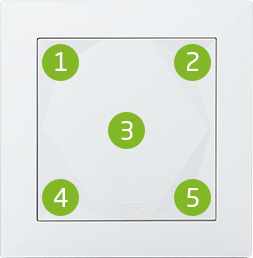 An integrated temperature and humidity sensor makes the Loxone Touch a real all-rounder! Touching multiple zones at once, or touching the switch with your whole hand automatically triggers the central touch zone only. Each corner of the Touch is indented so that each zone can be easily distinguished. The built-in temperature and humidity sensor allows your Loxone Smart Home to react to changes in temperature and humidity levels automatically – keeping rooms cool and fresh in the summer and ensuring your home is always cozy in the winter. Thanks to the Loxone Tree or Loxone Air technology, the Loxone Touch is easily integrated into your Loxone Smart Home. 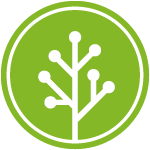 Touch Tree: We recommend a separate power supply for powering the sensor. Open Loxone Config and connect to the Loxone Miniserver. Click on the Tree or Air Extension and look for the Loxone Touch in the Tree or Air Monitor. Click, name, insert. Lighting, shading, music – configure the Loxone Touch according to your wishes or use Auto Configure to configure your Touch to our recommendation. 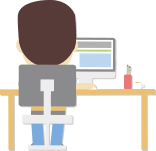 We recommend configuring the same functions for every room. Measuring just 55 x 55mm, the Loxone Touch can be removed from its frame and adapted to suit your personal tastes. It can be used in combination with other switch frames such as the Gira e2. Get more exclusivity in your home. The Loxone Touch Pure captivates with its timeless design and multifaceted functionality. The exclusive Loxone Touch Pure has an integrated backlight for effect lighting and orientation. The Loxone Touch Tree and all other Tree products are plug-and-play and work perfectly with all Loxone components. Thanks to the flexible wiring, commissioning is completed in just a few moments. 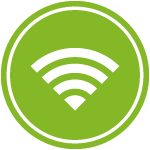 Especially for those who want to bring more intelligence and living comfort into their existing four walls, we have developed our own wireless technology. Loxone Air is perfect for all retrofitters and renovators. The variant “for Nano” was developed especially for the combination with a Loxone Nano IO Air or Loxone Nano Dimmer Air. To power the Loxone Touch for Nano, you simply need only attach it to the Nano itself, no batteries required. Relative humidity 95% r.H. 95% r.H. 95% r.H. When using other switch programs, note that the Loxone Touch is a matte, white surface. There may possibly be colour differences when using other frames. We, therefore, recommend using matte white frames. * Please note that the closed housing of the Loxone Touch Air can delay measurements of ambient humidity. For fast detection of changes in ambient humidity (eg. for ventilation control in the bathroom), we recommend a sensor with an open housing design such as the Loxone Temperature & Humidity Sensor Air.